Superheroes abound as Jollibee Kiddie Meals introduces new toys based on the movie Teen Titans Go! To The Movies. 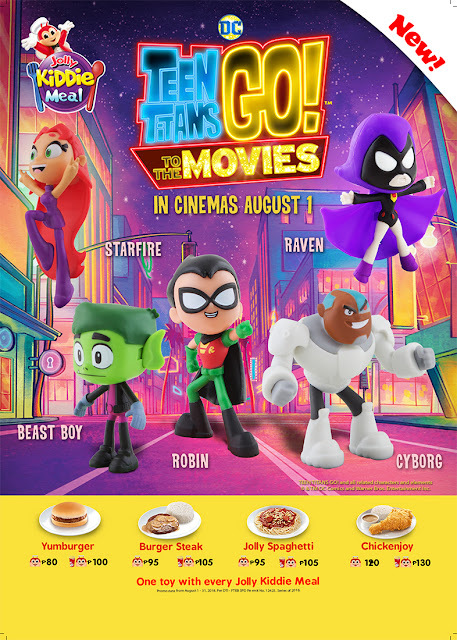 Robin, Beast Boy, Rave, Cyborg and Starfire will delight Jolly kids as they join their heroes, or Super Heroes rather, to fight crime and save the day. Watch the shapeshifter, Beast Boy, transform into a pterodactyl by attaching his mask and wings. Afterwards, just press a button to flap his wings and take flight for battle.